Guest Speakers: The Alexander/Madison Chapter-Greater Kansas City/Leavonworth Area 9th & 10th Horse Cavalry Association will be in full authenic Buffalo Soldier uniforms. The troopers will provide a moving presentation on the great legacy and rich background of the historic Buffalo Soldiers from the years 1866 to 1944. 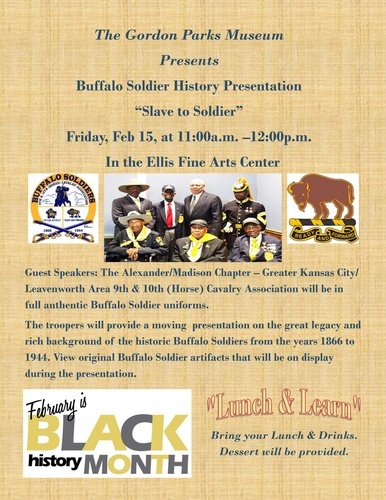 View orginal Buffalo Soldiers artifacts that will be on display during the presentation.
" 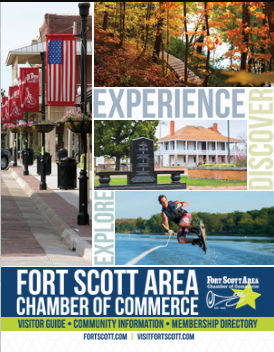 Lunch & Learn" Feel free to bring your lunch & drinks if desired. Desserts will be provided.